Sophomore small forward Marvin Cannon speaks of his family and describes the difficulties his mom Dante endured as a single parent raising him and his brother Tuesday afternoon in Bohler Gym. 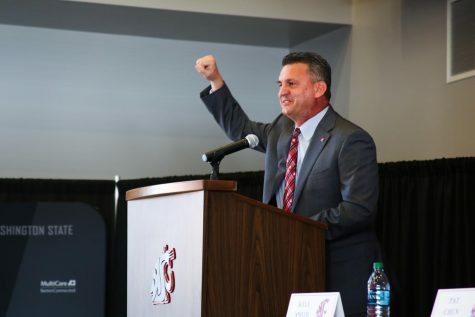 WSU was the first Division I school Cannon got an offer from. Marvin Cannon was what some would call a late bloomer. 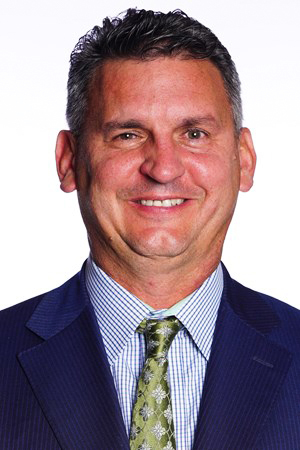 He didn’t start playing basketball until ninth grade, but once he stepped on a court it was clear Marvin was naturally gifted at the game. Despite his clear talent, Marvin said many doubted him. “I’ve always felt like the underdog,” he said. Coming out of high school in Richmond, Virginia, Marvin averaged 21.2 points and 6.4 rebounds per game in his senior season. But only one Division I school offered him a scholarship — Hampton University. So Marvin took a chance and decided to go the junior college route and attend Barton Community College in Great Bend, Kansas. When his older brother, Ketron Cannon, heard what Marvin was planning on doing, he was surprised but understood his brother was making the best decision for his future. Marvin’s mother, Dante Anderson, noticed a similar feeling of frustration in her son. But Marvin let his playing speak for him as he set out on a mission to prove all the schools that didn’t offer him wrong. Unfortunately, it wasn’t enough. No one was paying attention to Marvin’s performance on the court and he contemplated giving up on the sport he loved. Then the 2018 NJCAA Division I Men’s Basketball Championship came around and Marvin shined brightest when it counted most. He averaged 21 points and 14 rebounds in three games and helped lead Barton to the quarterfinals in the tournament. Immediately, the offers started rolling in after Marvin’s postseason performance. Marvin had finally been noticed after one year at Barton. Anderson said it was like a domino effect. Once Marvin got one scholarship offer, the phone rang to the point where it became overwhelming. “It was at a point where [Marvin] couldn’t even enjoy the moment he worked for,” Ketron said. It seemed like every minute the family was receiving a phone call from a different coach asking them questions about Marvin, Ketron said. 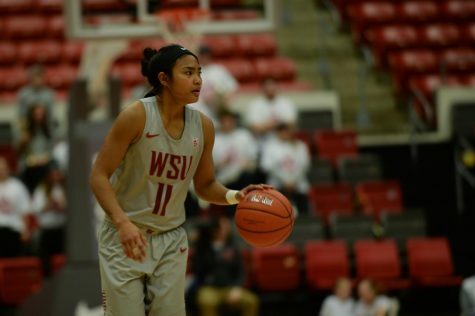 The first team to offer Marvin a scholarship was WSU. In total, Marvin received interest from about 14 schools including Wichita State and New Mexico. 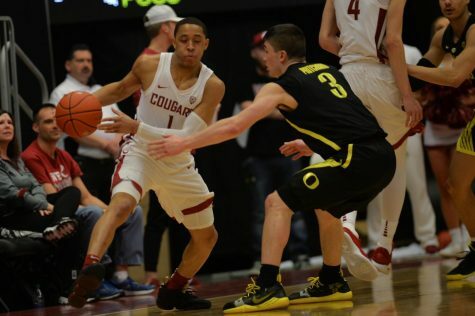 The Cougars stood out for Marvin because they looked at him as more than just a basketball player. 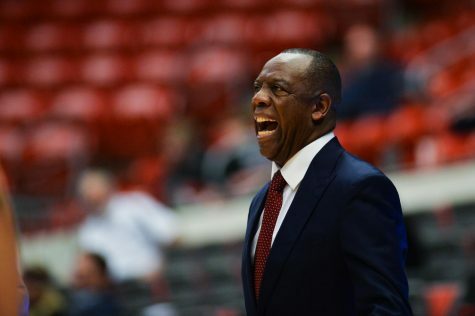 Anderson said Head Coach Ernie Kent called her and talked to her about how they would take care of Marvin on-and-off the court which was something other schools didn’t emphasize. 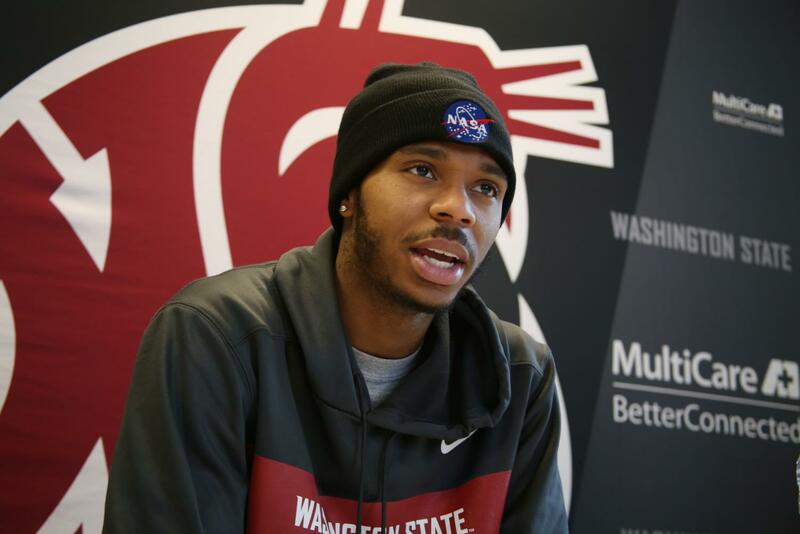 Once Marvin arrived in Pullman, he fell in love with the campus. 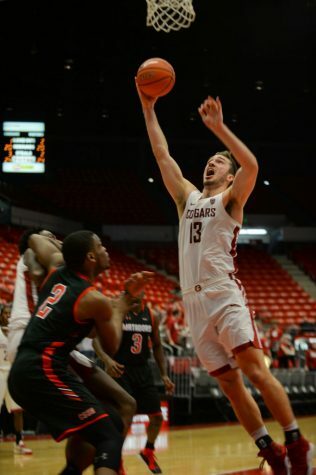 Now in his first season with WSU, the sophomore small forward is focused on helping the Cougars put the pieces together to become a more consistent team. This year, Marvin is averaging 7.4 points and three rebounds per game. Ketron said given the jump in the level of competition from junior college to the Pac-12, his brother has played well so far. Growing up, Marvin always looked to Ketron as a father figure. Ketron tried to provide guidance to Marvin while their mother raised both of them, working two jobs as a single parent. Unfortunately, the brothers are eight years apart in age, so Ketron didn’t get the chance to watch Marvin play basketball in high school. 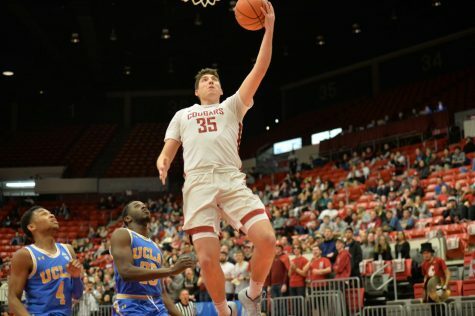 But one upside of Marvin choosing to come to Pullman was the chance to move closer to his brother, who lives in California. “Him just being two states away is really amazing,” Marvin said. The two brothers talk almost every day and Ketron gives Marvin scouting reports on other players in the conference. Anderson said being so far away from home has forced Marvin to become more responsible and their relationship has grown stronger. 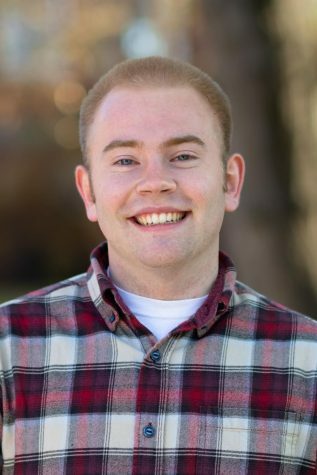 When Marvin decided to leave Richmond and go to junior college in Kansas, he said it was difficult because he had never been away from his mother for that amount of time. However, he eventually started to enjoy experiencing new things and meeting new people. 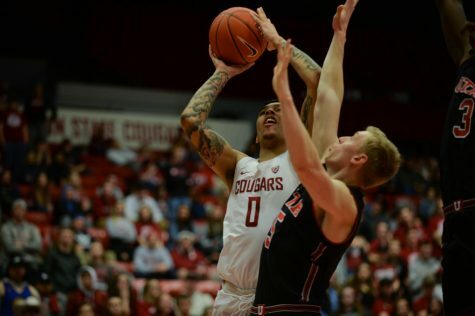 Marvin came to WSU with an interest in becoming a mechanical engineer, but due to the rigors of the basketball season he is now undecided on what he wants to do. Marvin said between homework and basketball, he currently has no free time. Although, Marvin said without basketball he wouldn’t be here at WSU. Ketron said Marvin has always looked up to him but now the roles have reversed.